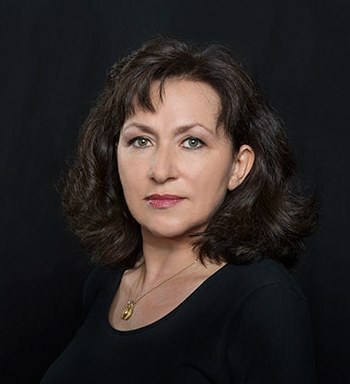 Soprano Krassimira Stoyanova will sing the role of Aida and mezzo-soprano Anita Rachvelishvili will make her Chicago Symphony Orchestra debut as Amneris in concert performances of Verdi’s Aida featuring the CSO and Chorus led by Music Director Riccardo Muti on Friday, June 21, 2019, at 8:00 p.m.; Sunday, June 23, 2019, at 3:00 p.m. and Tuesday, June 25, 2019, at 7:30 p.m.
Verdi’s Aida is the final subscription program of the 2018/19 season. These performances mark the fourth Verdi opera presented by the CSO and led by Muti, widely considered to be today’s preeminent interpreter of Verdi’s music. Previously, Muti has led the assembled forces of the CSO and Chorus and renowned soloists in concert performances of Verdi’s Otello (2011), Macbeth (2013) and Falstaff (2016). Tenor Francesco Meli, who makes his first CSO appearance since Verdi’s Macbeth in 2013, will portray Radamès. Bass-baritone Eric Owens, who has performed with Muti and the CSO on multiple occasions including the 2011 performances of Verdi’s Otello, returns in the role of the King. It was Stoyanova who came to the rescue when Muti and the CSO presented Verdi’s Requiem at Vienna’s Musikverein in the autumn of 2014. Seeing that the scheduled soprano was having difficulty in rehearsal, Muti lured Stoyanova from the Vienna State Opera — where she had sung Mimi in Puccini’s La bohème, another huge role, the previous night. 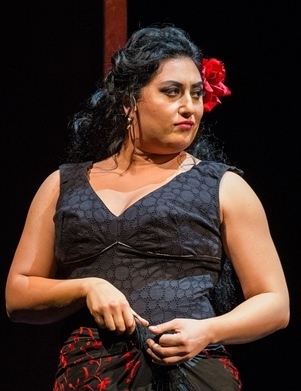 Rachvelishvili triumphed as Azucena in the Met’s 2018 production of Il trovatore and Meli garnered praise as the Duke of Mantua in the Royal Opera’s production of Rigoletto in London this season. Meli also performed in the critically hailed 2017 Salzburg Festival production of Verdi’s Aida with Muti. Renowned Bulgarian baritone Kiril Manolov makes his CSO debut as Amonasro, having performed the title role of Falstaff with Muti at the Ravenna Festival and also in a critically hailed production of Verdi’s Falstaff at Deutsche Oper Berlin. Bass Ildar Abdrazakov makes a return appearance with the CSO and Muti in the role of Ramfis following previous appearances with Muti for Shostakovich’s Suite on Verses of Michelangelo Buonarroti – also released on a 2016 CSO Resound recording – and in performances of Verdi’s Requiem. American tenor Issachah Savage makes his CSO debut in the role of the Messenger. Chicago Symphony Chorus sopranos Kimberly Gunderson and Tasha Koontz alternate in the role of the Priestess in these performances, which also feature the Chicago Symphony Chorus, under the direction of Duain Wolfe. Tickets for these and other CSOA-presented performances in the 2018/19 season are currently available to subscribers; and after August 10, 2018 to single ticket buyers at cso.org, via phone at 312-294-3000, or in person at the Symphony Center box office, 220 S. Michigan Avenue, Chicago. Friday, June 21, 2019, 8:00 p.m.